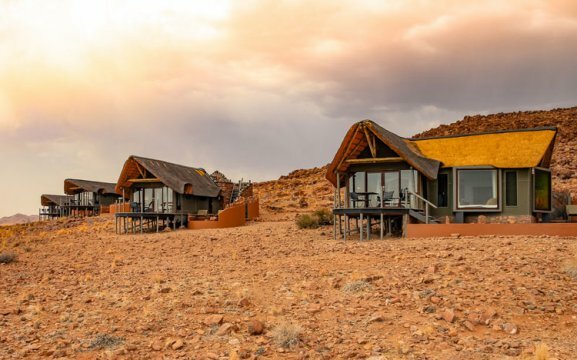 The Desert Homestead Outpost is situated in same 7,000ha nature reserve as the Desert Homestead Lodge, with mountains overlooking the vast grasslands and Naukluft Mountains. We are surrounded bei ‘vleis’ (pans), from the top of the highest dune you will have spectacular views of Naravlei, Cessna Pan and the rocky ridges of Witberg. We also have the Deadvlei with its white floor and much-photographed dead camelthorn trees situated more to the south. Our main area features a swimming pool, bar, lapa with on-site restaurant, laundry service and safety deposit box at the reception. 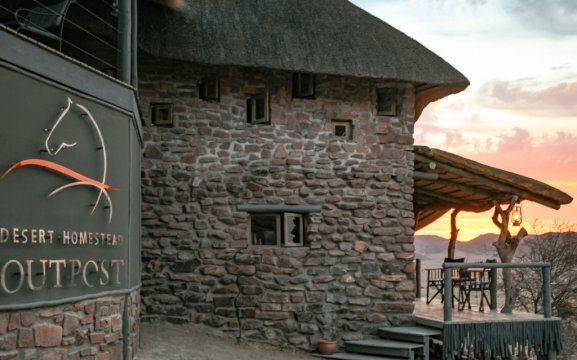 At the top of the lodge we have a sundowner deck, which invites spectacular sunsets or amazing sunrises. Our kitchen serves deliciously fresh, farm-style food by candlelight inside or outside on the wide veranda, under the beautiful Namibian sky. 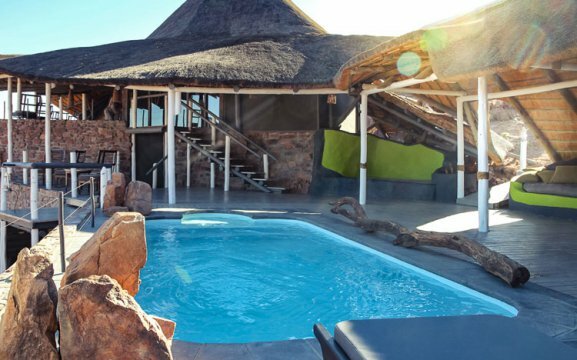 Accommodation at the Outpost comprises in standard chalets, family units and a superior unit – the honeymoon suite. 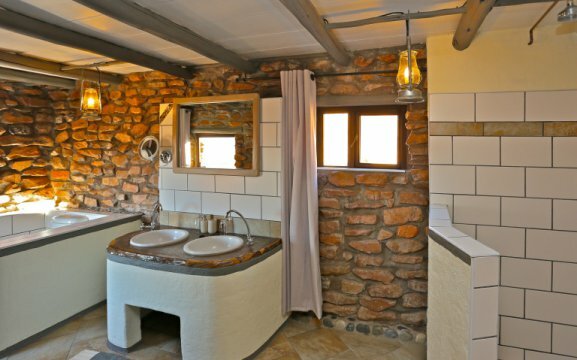 Our rooms are all en-suite bathroom with shower and twin basins, a luxury 4-poster double bed fitted with a mosquito net, ceiling fan, writing desk, minibar, safety deposit box, tea/coffee facilities, a small terrace and air-conditioning. 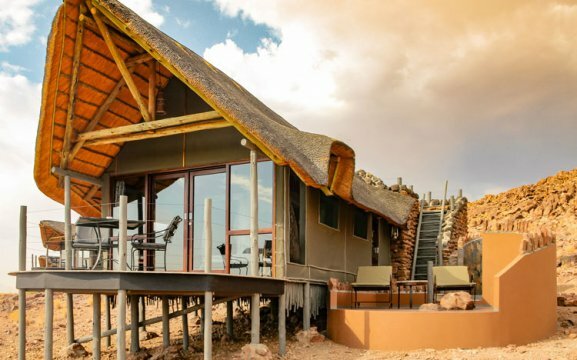 Our family unit takes up to 4 people with similar facilities and excellent panoramic views over the endless grasslands and distant mountains. The superior unit was completed in July 2016, it has its own private lounge, luxurious plunge pool with large deck and loungers, a bath and shower. 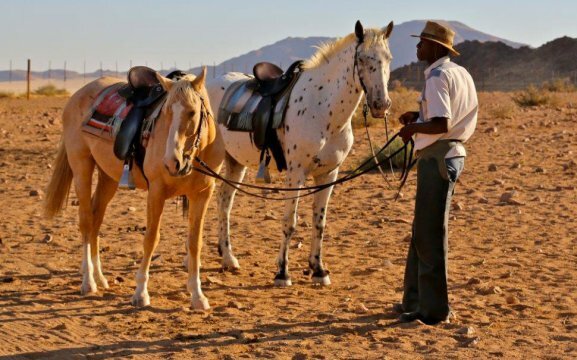 At Desert Homestead Outpost we offer horse trails, Namib Mountain Trail, Jogging, Hiking and Hot Air Ballooning. 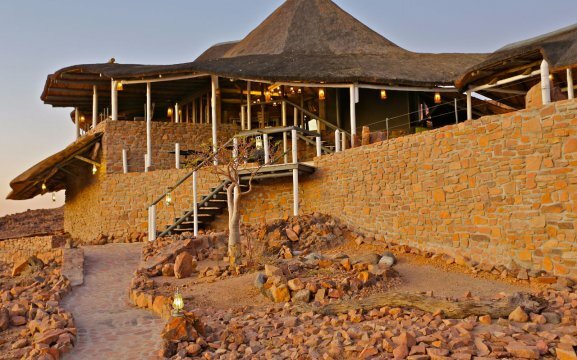 We have hiking trails through the mountains, canyons before enjoying a sunrise over the red Namib dunes. Have a guided horse-back ride early in the morning or in the late afternoon for a few days or go on horse riding excursions. We have 10km tracks for the people who like to go jogging. We also offer sundowner drives for a couple of hours with drinks and snacks included. 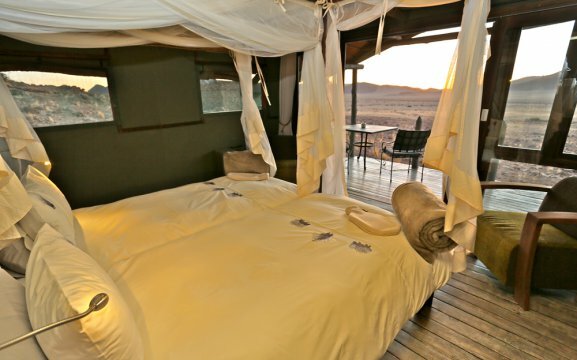 Go on a trip to Sossusvlei, Dead Vlei and Sesriem Canyon or choose to spend a romantic tent camp under the starry sky of the Namib Desert. 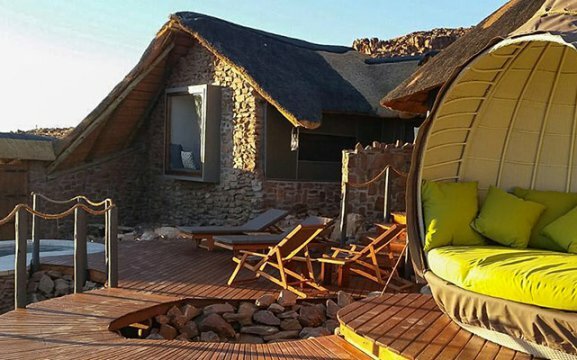 Namib Sky Balloon Safaris offer the hot air ballooning, which is a highlight! Here we pick up our guests early in the morning on the neighbouring farm which lies 45 minutes away from our lodge.